Type 2 diabetes is considered to be an epidemic in the Gulf States especially in Saudi Arabia. Recent studies have shown a rapid increase in the prevalence of this disease due to medical and cultural reasons. A country-wide epidemiological study (i.e. national survey) looked in detail at the different risk factors associated with this disease namely genetics, obesity and physical activity. In type 2 diabetes, the most common form of diabetes, the body either does not produce enough insulin or the cells are less sensitive to the insulin. Insulin is necessary for the body to be able to use glucose for energy production. When you eat food, the body breaks down all of the sugars and starches into glucose, which is the basic fuel for the cells in the body. Insulin takes the sugar from the blood into the cells. When glucose builds up in the blood instead of going into cells, it can lead to diabetes complications. Dr. Khalid Al-Rubeaan, the Director of the University Diabetes Center at King Saud University, and Consultant Endocrinologist at King Khalid University Hospital discussed the results of an epidemiological study during a Research Colloquium presentation entitled “Why do we have more diabetes? : A gold mine for research”. 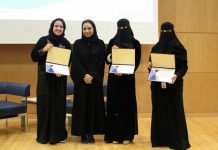 This seminar was held at Alfaisal University on Wednesday 23 December 2009 and was well attended by more than three dozen faculty, staff, students and external guests. Based on a national investigation, the younger population aged from 7 to 18 showed a prevalence for type 2 diabetes of 7.6% out of which 94.7% was discovered during the survey. This means that Saudi Arabia has the highest occurrence of type 2 diabetes among children at the global level. Due to both genetics and ethnicity, Saudis, for example, develop type 2 diabetes 19.7 years earlier when compared with the Caucasian ethnic group. It was also observed that genetically predisposed diabetics are more likely to be obese and to show the disease 15 years earlier than slender Saudi subjects with a negative diabetic history. A lack of physical activity and poor nutrition were also found to have a major impact on disease development. Dr. Al-Rubeaan obtained his MBBS from King Saud University in KSA in 1980. He holds a Master Degree in Epidemiology from the University of Alberta in Canada, and an FRCP(C) from the Royal College of Physicians and Surgeons of Canada. 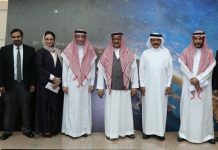 In addition to his current positions, his professional experience includes Chief Editor of Al Sukhari Magazines, Chairman of Diabetes Science International, Chief Editor of International Journal of Diabetes Mellitus, Head of Saudi National Diabetes Registry, and former President (Saudi Arabia) of Pan Arab Group for the Study of Endocrinology and Diabetes. Previous articleAlfaisal University: First Educational Institution to Host MIT OpenCourseWare Mirror Website in the Kingdom and the Region.